Links with China started from very humble beginnings in 2011 when Frankie Tsang and Phil Dutton organised a seminar on trading with China at The Kings School Worcester. 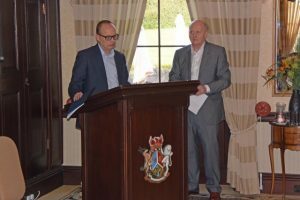 Since the Seminar Phil Dutton has lead two successful Trade Missions to China in 2012 and 2014 and hosted four Inward Delegations made up of Chinese Government Officials and Businessmen in Worcester. 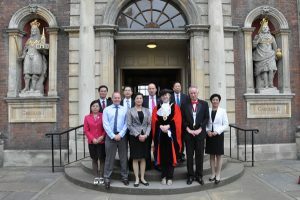 In 2015 Worcester and Hezhou executed a Friendship City Agreement at the Guildhall. 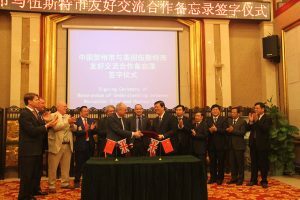 In 2017 Worcestershire County Council entered into a Memorandum of Understanding with Huizhou with a view to executing a Sister Relationship Agreement in 2018. What does a Friendship City Agreement entail? It sets out the areas the two Cities will work together and co-operate on. 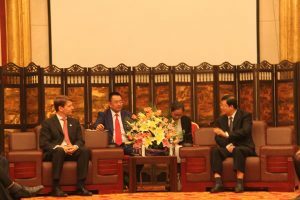 Each City will support Businesses to establish links in the UK and China to aid trade. In practical terms this involves organising business meetings with potential suitable partners. Each City will provide translation support and transport. Over eighty business meetings have taken place since 2012. Each City will promote it’s counterpart to encourage tourism. To support this links and translation have been provided to visit Worcestershire and Hezhou websites. In 2018 Worcester City are taking part in a joint Chinese National TV programme promoting tourism to Worcester. University of Worcester and Hezhou University are currently in negotiations for Hezhou students to study in Worcester. 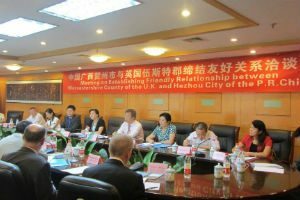 The two Cities are looking to establish links between students in Worcester studying Mandarin and students in Hezhou studying English to create friendships and support each others language skills. A number of the Chinese business people have expressed a desire to invest in the UK. Through Ambassadors, Gary Rouse of BDO and Andrew Manning- Cox of Gowlings both of whom have offices in Guangzhou, we are investigating how we create appropriate investment structures to facilitate this.